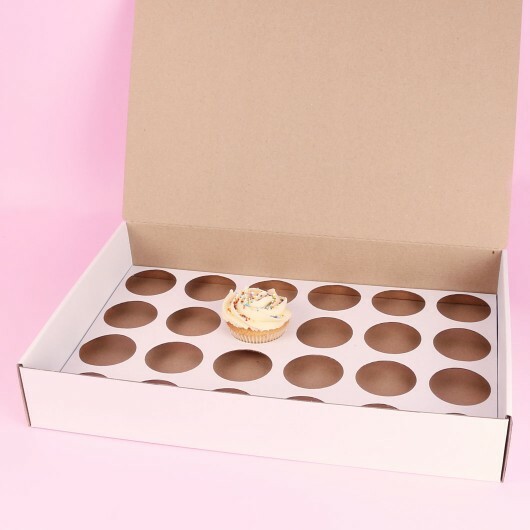 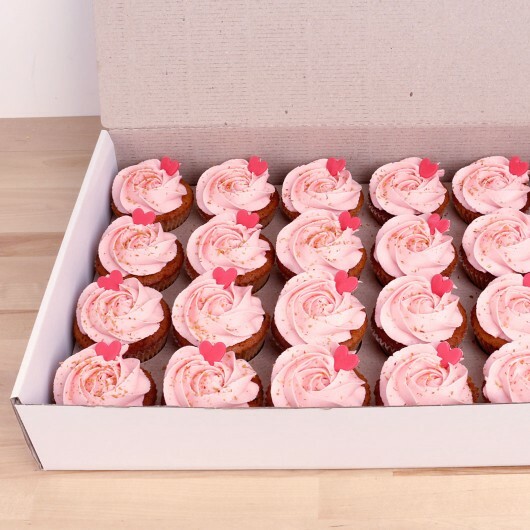 A solid corrugated cardboard box with special fittings that holds up to 24 standard-sized cupcakes or muffins. 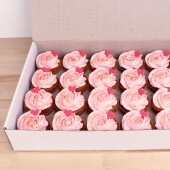 Its special construction is perfectly suited for transportation of our products. 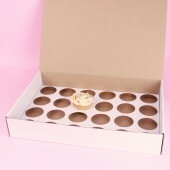 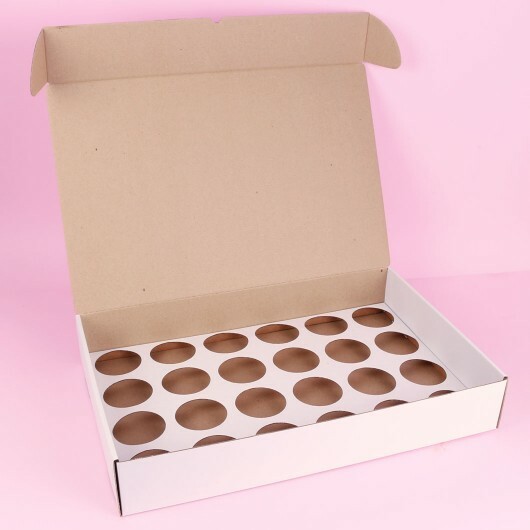 Thanks to its perforation, the lid can be easily removed so you can use the box as a serving tray.